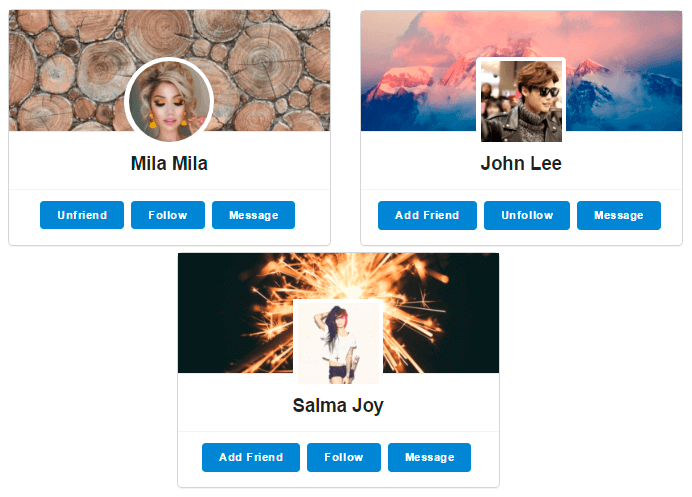 Specify the Profile Avatar Size and Avatar Thumbnails Sizes. 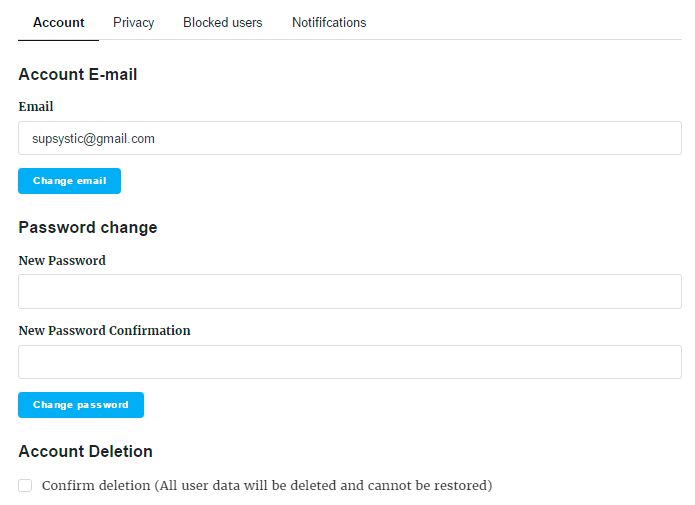 Enable Use Profile Cover and choose the Default Cover Image. 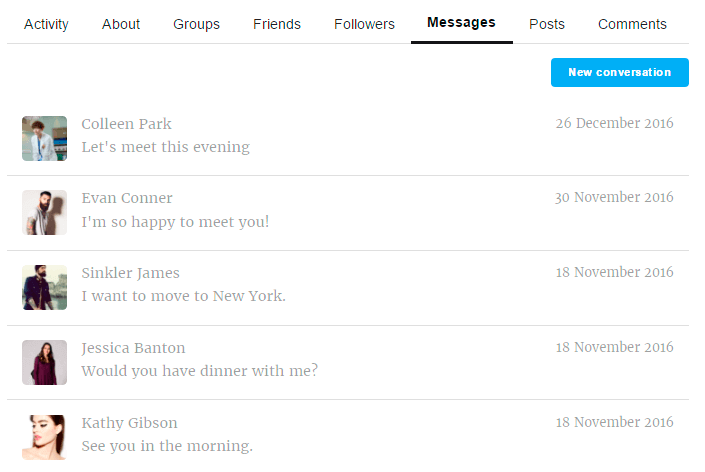 Specify the Profile Cover Size and Cover Thumbnail Small Size. Further you can create fields for personal information about users. Go to Fields section of Profile tab. 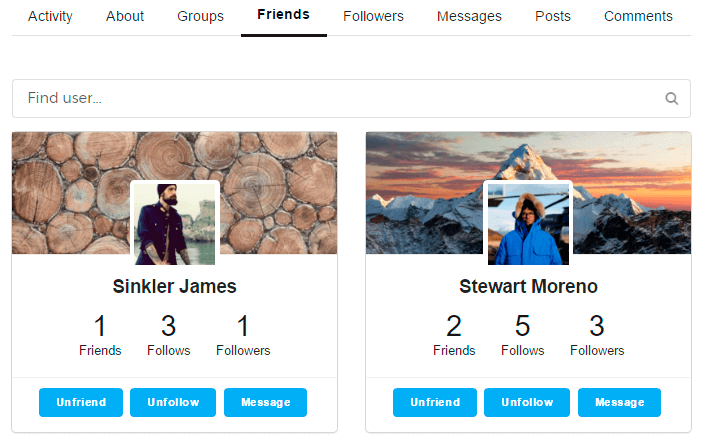 Here you can create and edit sections and fields for About tab of User Profile. Besides here you can specify what fields will be used for registration and which of them will be required. 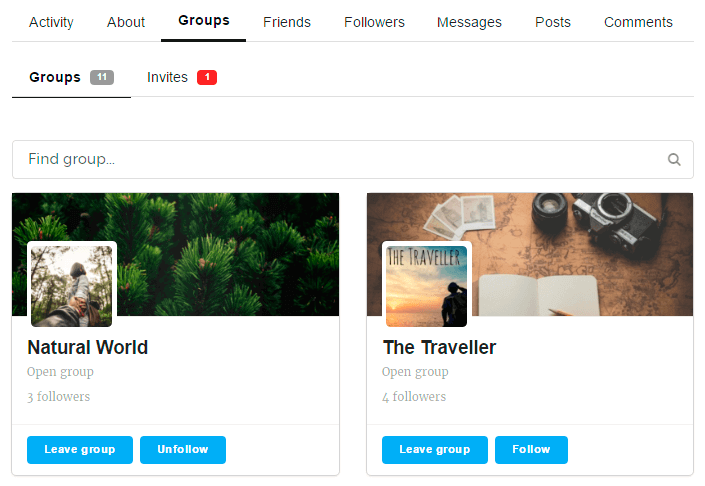 On Design Tab, Membership plugin permits you to change the front-end appearance of your Membership Community. 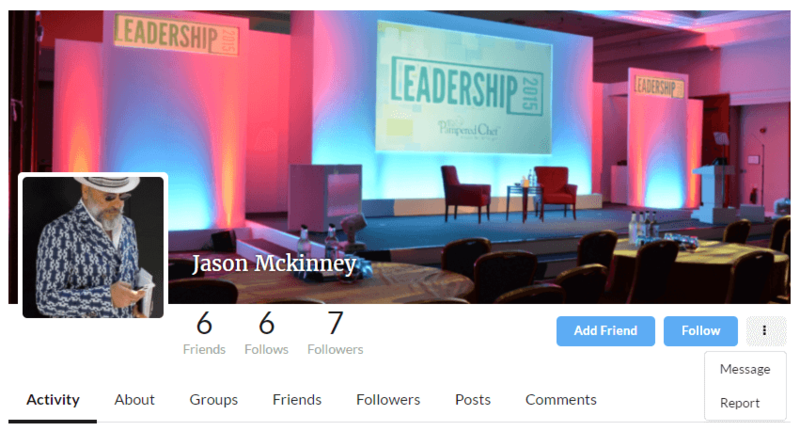 Profile image style – modify the form of users photo to circle, square or with rounded corners. 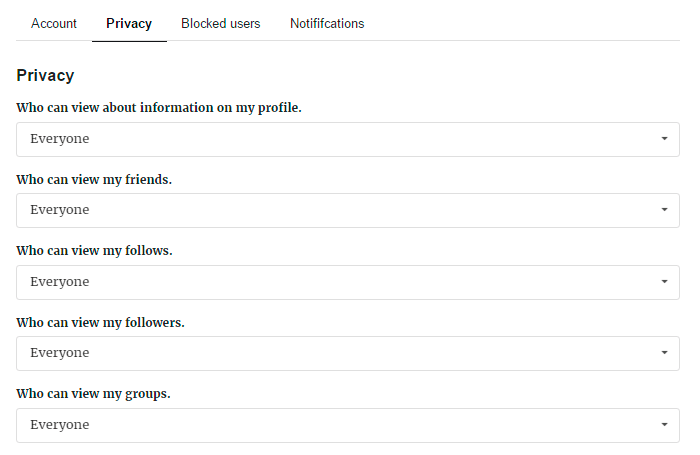 Also on the Main tab of plugin settings you can enable/disable different tabs of User Profile on front-end of your membership site – Messages, Activity, Friends, Groups. 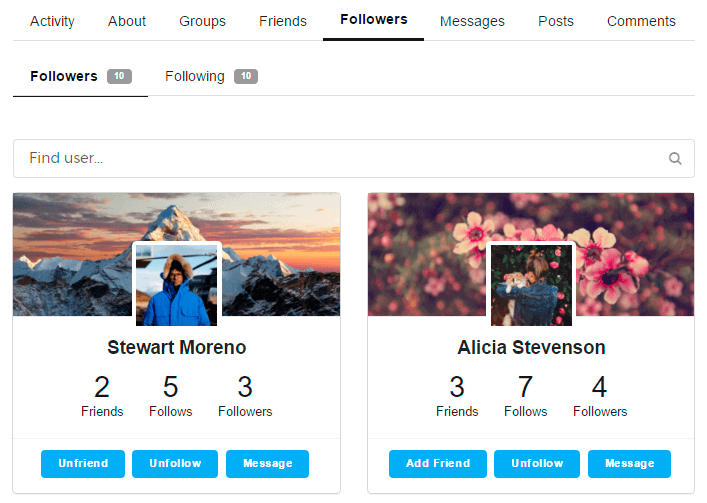 All these options help you to prepare the User Profile appearance of your Community. Let’s move on to the Front-end settings. Before this moment we have learned about plugin features which are available for you as for administrator of the membership site, now we’ll check all possibilities which will be available for your membership users. After success registration user will be able to login to his personal account on your site. 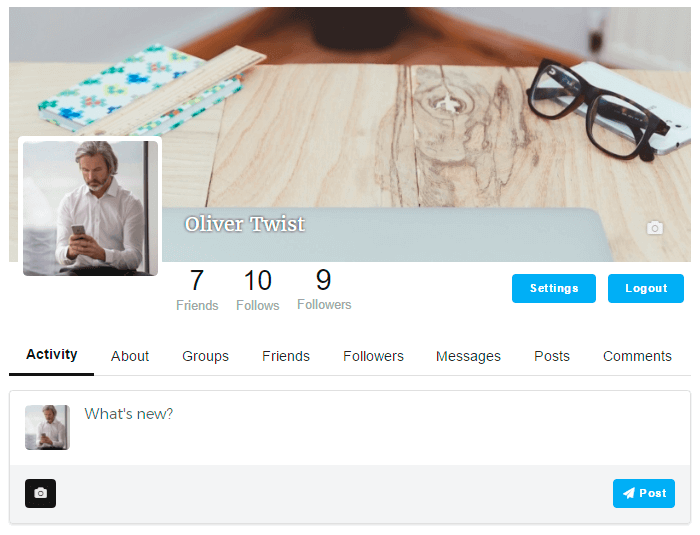 On profile page user will be able to edit personal information, make some actions with friends and groups. 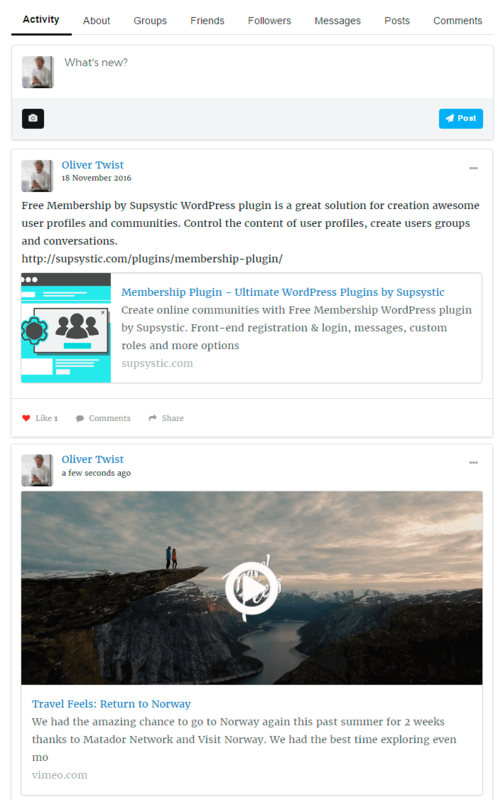 Besides, the best membership plugin for WordPress by Supsystic allows to upload photos for avatar and cover of profile. You can check all these possibilities on your administrator profile page right now. Communicate with membership users in personal chats.